This report from Disability Campaigner Gail Ward is a must read for all benefit claimants and those claiming ‘in work’ benefits claimed by millions in the UK. It has plenty of references and downloads contained within the document and it will alarm many, it should, as this government is targeting the poorest in society at the expense of saving the rich. Some of those already transferred will know the horrors already highlighted recently by Citizens Advice (CAB),but the majority do not. This blog doesn’t have the capacity to embed the entire report to enable reading online ,but you can download it from the link below in the hope that this will help many prepare for the next onslaught by this barbaric government whose sole purpose is to hound claimants, and save money for the state putting profit before people. If you thought WCA (ESA) was bad this will make it look relatively tame. What you will read may be very distressing for you, but we are looking at the worst-case scenario and identifying measures to help you and other claimants. It would be good to have some feedback on the Health and Work Conversations from people who have made an ESA claim. More we know about it, and more we can fight this. What you should not do, is to decide not to claim ESA. That is what DWP wants you to do. Some documents released by the DWP have shown the direction of travel in terms of claiming ESA under UC. Under the old regime, a person wishing to claim ESA was placed in the ESA assessment phase, attracting the lowest ESA rate (JSA rate), and also no conditionality, and this until a Work Capability Assessment could decide whether the claimant was fit or unfit for work. (d) assists the Secretary of State in the completion of an action plan. (g) any paid or unpaid work that the claimant is undertaking. (e) the claimant’s opinion as to the extent to which the ability to remain in or obtain work is restricted by the claimant’s physical or mental condition. So the main difference with the previous regime is that people with a fit note from their GP saying they are not fit for work, will be (are being) called for a mandatory WFI. 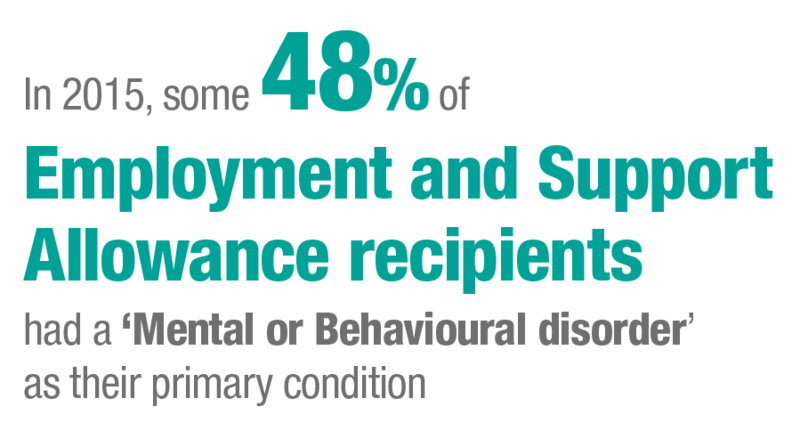 The DWP defines vulnerability as “an individual who is identified as having complex needs and/or requires additional support to enable them to access DWP benefits and use our services.” but has not yet released the guidance given to Work Coaches on who will be exempted from the HWC. As these conversations have already started, this guidance exists and should be released immediately by the DWP. Unfortunately, based on the DWP ghastly track record, it is likely that pressure to attend will be placed on people unable to attend because of their health conditions. DPAC has already encountered a case of a person with mental capacity issues and a life threatening health condition being requested to attend a HWC. Claimants in this group must be available for full-time work of any type and look for this within 90 minute travelling time from their home. Restrictions can be applied to looking for work, the type of work and hours of work where it is appropriate due to the claimant’s capability and circumstances. Claimants must be engaged in work search and work preparation activities for at least the number of hours they are available for work. Claimants must take all reasonable action to obtain paid work. Work Coaches must set work search activities for the claimant to search for work for their expected hours (This is the number of hours that the claimant is available for work or 35 hours, whichever is the lower figure) less deductions from this for the allowable time spent undertaking agreed work-preparation activities , voluntary work and paid work. Any other derogation to the All Work Related Requirements will be at the discretion of work coaches. For most claimants, work coaches will not have more medical information than the fit note (the diagnosis) or in some cases, the WCA outcome when they have not be found to have Limited Capability for Work and Work-Related Activity, and they should not be able to ask claimants for this kind of information without breaching the Data Protection Act. These work coaches are also not medically trained. Any Work Related Requirement will be based on the diagnosis, and on what the claimant would have told them during the HWC conversation and in the questionnaire. Also based on that, claimants would have to complete an action plan and sign a claimant commitment. Failure to do so could result in a sanction. 2) all claimants assessed by their GP as unfit for work, will be considered by default fit for work by the DWP. 4) GPs medical judgement is undermined by medically untrained staff. Re: Blaming the victim, all over again: Waddell and Aylward’s biopsychosocial (BPS) model of disability. AS you all know, I have been exposing the dangerous WCA in my research since 2009. Eventually, I was able to expose the use of the totally discredited biopsychosocial (BPS) model of assessment, used for the WCA and adopting a ‘non-medical’ assessment model to resist funding benefit. Waddell and Aylward’s ‘research’ was based on the modified version of Engel’s BPS model as identified in the 1970s. They are responsible for the BPS model used for the WCA, which has destroyed countless lives. Finally, the very long awaited academic support has arrived in the form of a blistering attack against Mansel Aylward and Gordon Waddell’s research ‘evidence’ who, historically, have written DWP ‘commissioned’ research that has influenced government policy, which led to the introduction of the WCA. The research ‘evidence’ used by the DWP to justify the dangerous WCA, using the discredited BPS model, is finally exposed as having ‘no coherent theory or evidence behind this model’, which is academic speak for being totally bogus.